What do you do before buying a product on Amazon or any other e-Commerce website? You must go through product reviews. Right? Do you also suffer from review mania and go through multiple product reviews and blog posts before confirming whether this is the right book, laptop, TV or phone that you should buy for yourself or for your loved ones? Moreover, after finishing every review it becomes difficult for you to make a decision. It looks like that Microsoft’s team has tried to understand buyers’ online shopping behavior. They have figured out that often a buyer is only looking for information to make a Go and No-go decision. Buyers are not much interested in going through multiple paragraphs of a detailed review. This is true in fact. We use to go through hundreds of reviews, of which only a small summary use to be of our interest. Most of the time the best review uses to be covered under a pile of reviews. These sorts of problems are going to be solved by new web application of Microsoft that does sentiment analysis. It collects reviews from multiple websites, blogs and forums. After that it performs a sentiment analysis and forms a summary based on these reviews and helps you in making a Go/No-go decision. We get to know about this web application by Microsoft from one of their patents. You can get an access to the patent filings from here. In one of our earlier posts, we talked about Microsoft’s robotic butterfly that behaves based on your mood. The device predicts your mood and changes its states. Now Microsoft is again analyzing user’s behavior, however, online and developing a web service that does sentiment analysis of product reviews and helps a buyer to strike best online deals. Ok so we have talked enough that what this web application does so now let’s get down to the hows. 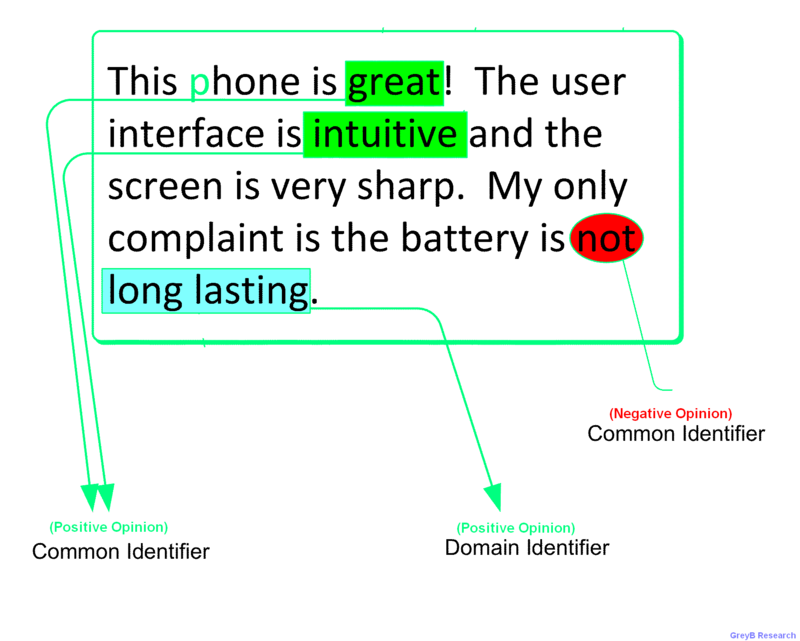 Below is a brief summary of the working of this product sentiment analysis software by Microsoft. How Sentiment Analysis of Product Review is performed? Microsoft will be using sentiment identifiers in their sentiment analysis software to classify the opinion data that is collected by their internet robots from multiple websites. There are two kinds of identifiers that will be used by Microsoft robots – First is common identifier and second is domain identifier. The term “good” is a common identifier and it has strong correlation with a positive sentiment while the term “bad” may have a very strong correlation with a negative sentiment. There are some terms those have multiple meanings. Theirs meanings get changed with change of their niches. For example, the term “hooked” has a strong positive sentiment for a video game (e.g., “I’m hooked on this video game and can’t stop playing it.”). However, “hooked” can be a negative sentiment for a website of computers. Microsoft’s web app selects relevant websites related to a particular product first. 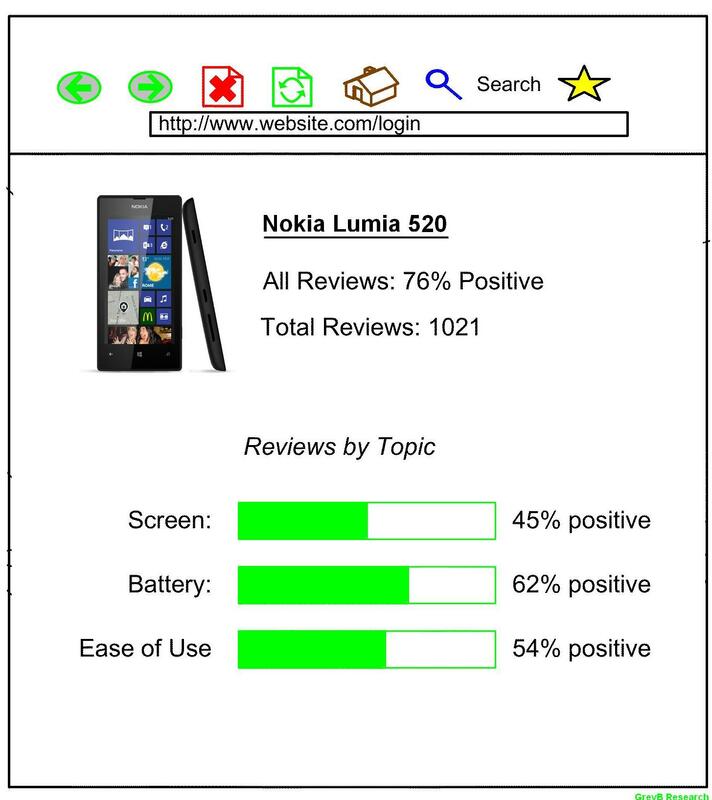 For example, to collect reviews of smartphones, websites, forums and blogs related to the smartphones are selected. After selecting websites, opinion data is collected by internet bots. Internet robots (bots) use identifiers to predict the sentiment of an opinion. They predict whether the opinion is positive or negative and create a summary for particular product (shown in pic). The summary helps an online shopper to form an opinion before making a purchase. It saves his time and at the same time provides him valuable information. Thus next time when you will be doing online shopping you won’t be going through multiple websites to form an opinion and instead you will be checking the summary of product reviews created by Microsoft after performing sentiment analysis on multiple product reviews. Informative post. Predictive Analytics creeps into Emotions. Glad that you find it informative 🙂 Thanks for stopping by and sharing your thoughts. It seems to me that “predict” is not the right word to describe what the app does. Do you want to suggest something else? Fasten your seatbelts, ladies and gentlemen, Youtube is going to be awesome. Previous Previous post: Do You Know How Google Detects Fake Names?